This edition is limited to only 208 in the world! The images of this artwork are for illustration purposes only. Yours will be the edition and cert # you purchased. 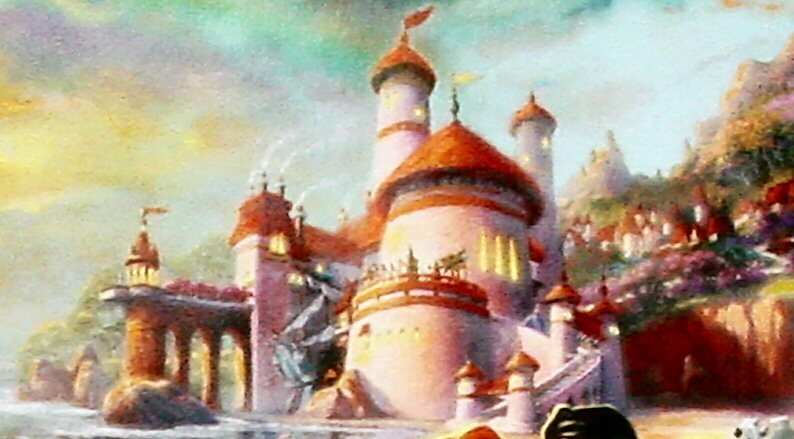 Thomas Kinkade's The Little Mermaid tells the entire story in Thom's painting. The Little Mermaid is the ninth edition in the Disney Dreams Collection Tom has painted thus far. Within The Little Mermaid painting are many special characters from his previous Disney Dreams Collection paintings and other hidden items. Can you find the following? 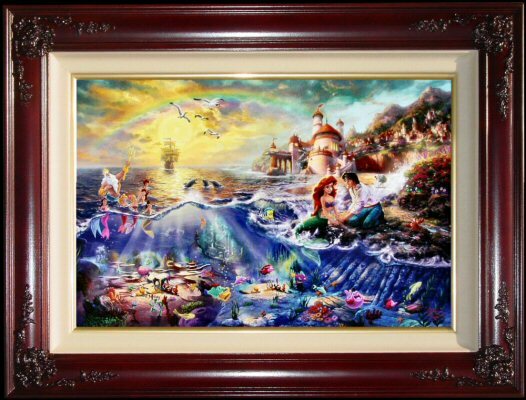 The Little Mermaid is the ninth painting in Thomas Kinkade's new Disney series entitled Disney Dreams. See below for other paintings in the collection. ++++ This Edition is Limited to only 208 in the world! ++++ FRAMED in a Brandy with fluted roses Museum Quality Frame ~~ ready to hang! ++++ Brass Plaque with the legend "The Little Mermaid ~~Thomas Kinkade"
Publisher Proofs (P/P) The Publisher Proofs are limited to 12% of the Standard Numbered total edition size, making the edition scarcer and more desired. These lithographs on canvas are individually hand highlighted. P/Ps are designated with the letters P/P during the numbering process. Each piece is individually hand-numbered with an P/P designation after the print number to correspond with the certificate. These are considered highly collectible due to the very small amounts made and these sell out faster than any other edition as a general rule. 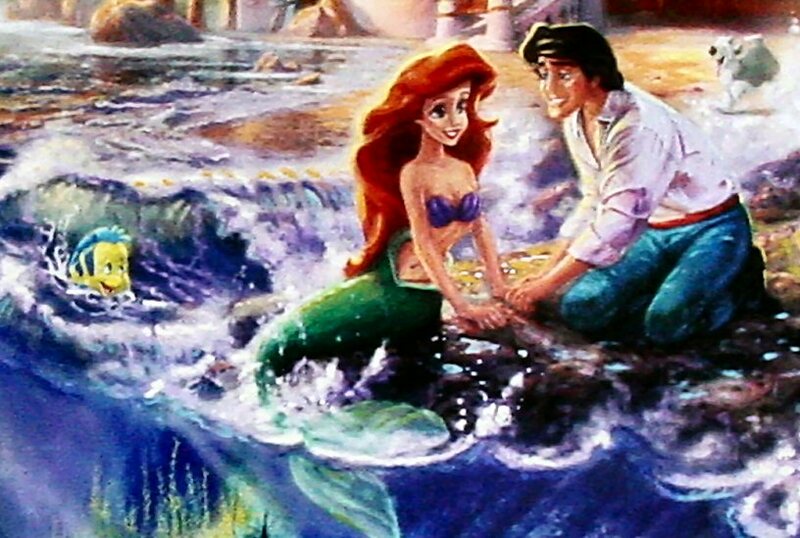 "Believe it or not, I am a huge fan of The Little Mermaid. 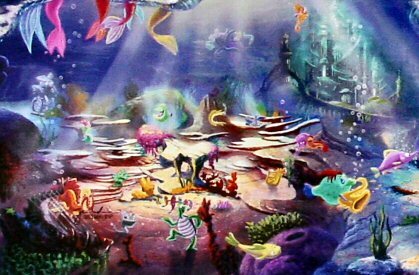 I honestly believe it is the film that sparked the renaissance in Disney animation coming out of the 1980's. 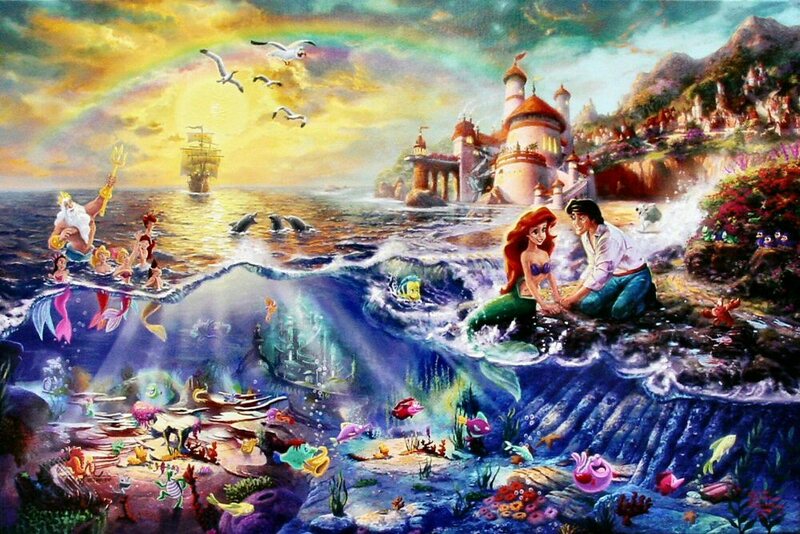 While Beauty and the Beast may be the most purely romantic of the modern-day Disney classics and The Lion King the most powerfully dramatic, The Little Mermaid is clearly the most enjoyably enchanting of these films and certainly best captures the innocent nature of first love. Watching my four daughters all grow into young women I have been privy to the emotional peaks and valleys of young love. 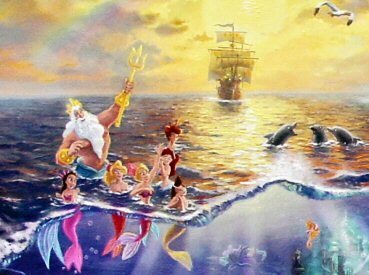 I understand King Triton's concern and desire to protect his youngest from a relationship facing so many obstacles. But, I also recognize the desperate love Ariel feels towards Prince Eric and the purity of her belief that their love can conquer all. Love is powerful, love is captivating and first love absolutely enchants!" --it's fast, secure & FREE to you, we pay all fees! Don't want to use PayPal? No Problem!